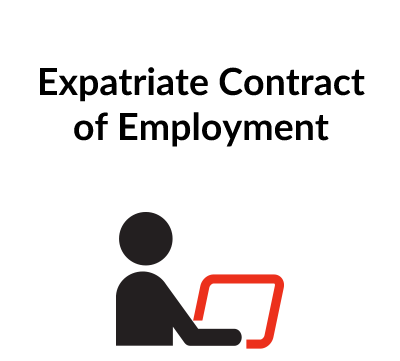 This employment contract is in the form of a letter from the employer to the employee, setting out the terms of the employment and expatriate benefits for an executive. Suitable as a basis both for a new recruit and an existing employee who is to be posted overseas. There are two versions – English and Chinese. There are 16 paragraphs setting out the terms of the appointment. In addition to the usual provisions there are terms dealing with travel arrangements, accommodation, children’s education and medical treatment etc. 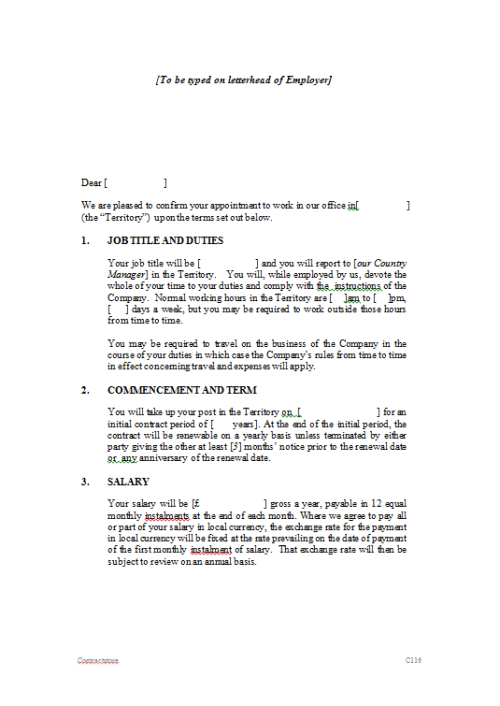 A contract on the terms set down in the letter is made when it has been signed by the employer and countersigned by the employee without any qualification. 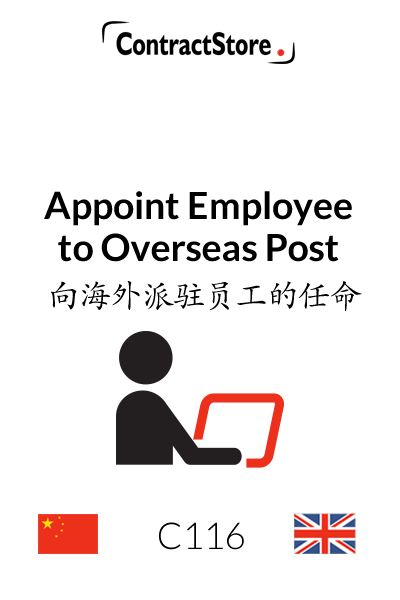 Note that where the employee conducted himself in a manner that entitles the employer to dismiss him, a further provision may be added that no return fare will be provided, although in certain countries there may be an obligation on the employer to secure the removal of the employee from the country; specialist advice should be taken on such matters. The provision of a car by an employer is a fairly standard perk in most countries nowadays. Especially where the employee is a senior manager, a contribution towards children’s education is a feature of an expatriate employment package. This letter assumes that English law will govern the contract when the employer is an English company. If the employer is a Chinese company, then Chinese aw should be inserted. The potential impact of local law – i.e. the law of the country where the employee is based – should be checked by the employer and the employee. 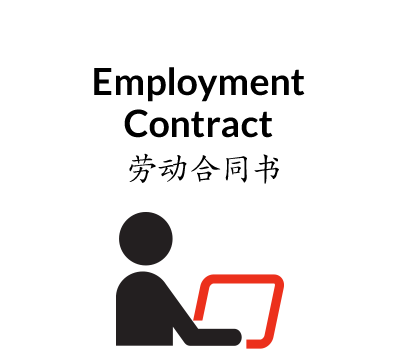 In this connection, it is not unusual for local law to contain, for example, a gratuity entitlement if the employment contract is terminated after an employee has served a particular period. Although that may not be reflected in an English law contract, an employee may be entitled to claim a gratuity under the local law. We suggest that specialist advice be obtained on the impact of the laws of the territory where the employee will be working.